Ready for a longer weekend? 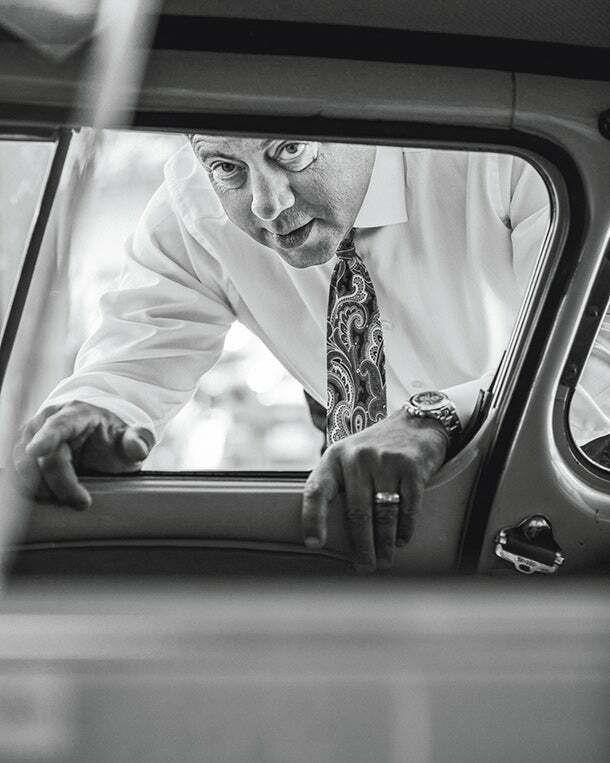 His Bremerton, Wash., dealership,which is a ferry ride away from Seattle, averages between 90 and 100 new car sales each month -- and only about two of those happened on Sundays. When he announced the change, all of his managers got emotional. Dionas closes his car dealership Sundays for "Family Day." There’s plenty of evidence available supporting the benefits of fewer hours. Still, experts say, this approach has been slow to pick up. Anna Coote, the head of social policy at the U.K.’s New Economics Foundation, has seen a few companies successfully cut back, especially in Sweden. Amazon is currently testing 30-hour workweeks for some tech employees. But Jake Knapp, a design partner at Google Ventures, believes it’s going to take a full embrace from a big, well-respected company -- be it Amazon, Apple, Nike or others -- before the idea gains mainstream traction. And he thinks it’s coming, thanks to small businesses. “The big companies look to those, and then they really kind of amplify it,” says Knapp, who wrote a best-selling book about getting more productivity out of less time called Sprint: Solve Big Problems and Test New Ideas in Just Five Days. The big guys may need to look in unexpected places. Take Cooper Fuel and Auto Repair, which happens to be 15 minutes down the road from Peninsula Auto in Bremerton. Its manager, Jason Hood, had read about moving to fewer hours, and then his management coach recommended that he look into it at Cooper. So he did, calling 10 of the shop’s regular Saturday customers, asking if they’d still come to Cooper if it were closed on the weekends. Eight said yes. The shop made the switch. The productive team of Peninsula Auto Group. Instantly, morale shot up. Employees were energized on Mondays after restorative weekends, and proved more productive. And the shop itself was more efficient. When it was open six days a week, Cooper never had its full crew together; it had to stagger days off, meaning there was always an empty bay. But with a Monday-to-Friday schedule, the shop is, well, firing on all cylinders. Cooper gets through more cars in a five-day week than it did in six. And those two customers who said they’d find another shop? Hood says one still brings in his car. Related: A 40 Hour Work Week... Really? Sometimes the pivot that boosts business isn’t closing for one extra day a week but for months at a time. It sounds counterintuitive, but shuttering for the entire slow winter season helped Patty’s Mexican Kitchen & Catering, an outdoor/walk-up restaurant in the college town of Moscow, Idaho, increase sales. Owners Patty and Gerardo Alvarez used to operate it year-round but now say they sell more burritos in eight months than in 12, get to spend more time with their young children, and experience a nice grand (re-)opening rush every spring. This past winter, against better judgment, they reversed course and stayed open all season. They had just named their eldest son manager, and he wanted to keep working, so they acquiesced. They’re sorry they did. Customers, accustomed to Patty’s being closed in the winter, didn’t show up. Business slumped -- and with no reopening fanfare in the spring, traffic remained sluggish. “This year we’re going to go back to what makes everybody happy: closed for the winter,” Gerardo says. The key here isn’t Patty’s losses, though: It’s the Alvarezes’ willingness to experiment. That’s what gets Knapp, the author, jazzed. You never know the next great change until you try it. And, yes, there can be bumps along the way. But it’s the rare company that stops to consider whether its current schedule is best for it and its customers. It just keeps the routine out of inertia. Clearly, not every company should throw out its business hours or days. But it should, Knapp advises, evaluate and tweak what a workweek looks like and when employees should be on-site -- the same way it experiments with its products. Experimenting doesn’t always mean reducing, either. Sometimes trial (and error) reveals that you actually (sorry, employees) need to work more hours. That’s what Kitsap Lumber & Hardware, also in Washington State, learned by listening to its customers’ needs. It used to close for holidays; now its all-year schedule is part of its identity. Employees answer the phone by saying, “Thank you for calling Kitsap Lumber & Hardware, where we’re open 365 days a year.” Even on Thanksgiving and Christmas, says Shane Hickey, the store’s manager, people need a place to buy a plunger if someone clogs the toilet. But over at Peninsula, the shorter workweek continues to create new benefits. Dionas says it has simplified employee scheduling, saved on utilities and aided with employee retention. In commission-based businesses like car dealerships, salespeople notoriously work on their days off when they aren’t hitting their numbers. That can lead to burnout, which isn’t good for anyone. Now there are no days off to work.